Classic Lamb curry with garlic, ginger & onion Gravy sauce. 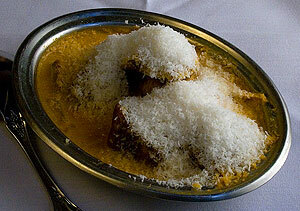 Cubes of lamb cooked Hydrabadi style with apricot &potato straws. 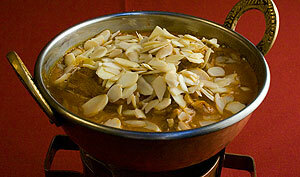 Lamb simmered in coconut milk. A North Indian preparation of hot lamb curry. Lamb cooked with delicious spiced creamed spinach. Lamb in a hot spicy sauce with potatoes. Clay oven roasted lamb cubes in spicy sauce. Tender lamb pieces pan fried with a potpourri of chopped assorted vegetables. Clay oven roasted lamb with spinach.